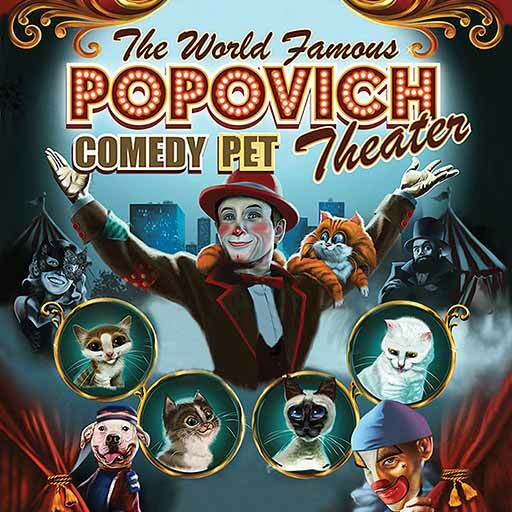 Gregory Popovich Comedy Pet Theater features rescued strays performing stunts and hilarious sketches that will delight the entire family. 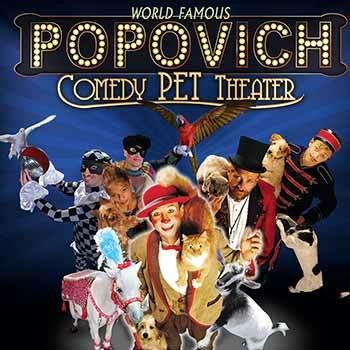 The world famous Gregory Popovich Comedy Pet Theater is one of the best kid friendly entertainment options in Las Vegas. Expert clown Gregory Popovich shows off his unique blend of comedy and expert juggling while sharing the stage with a huge cast of furry co-stars. 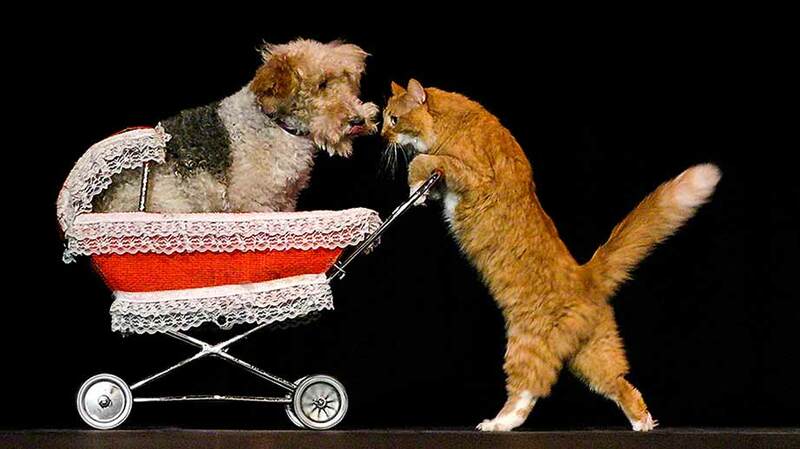 15 cats and 10 dogs, all of them strays rescued from animal shelters, perform an amazing variety of stunts and sketches. 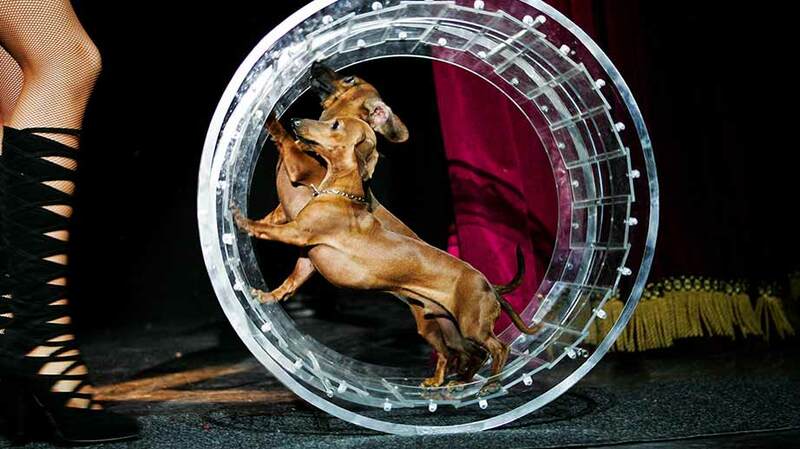 Some of these amazingly trained animals have better comedic and stunt chops than most human performers you’ll see in Vegas, and they don’t have diva-like demands like some of the big headliners in town. 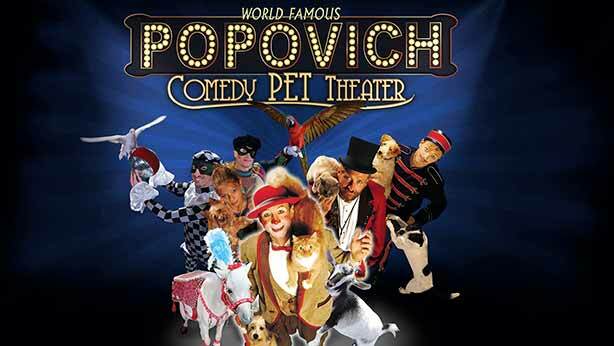 Despite the fact that they don’t demand to be the center of attention, Popovich lets them shine as the true stars of his show. The animal antics are adorable, hilarious, and amazing. 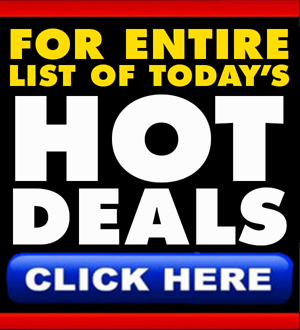 Dogs jump rope, ride scooters, and even walk other dogs while cats jump over hurdles, balance on perilously thin beams and moving wheels, and even push a stroller… with a dog in the baby basket. 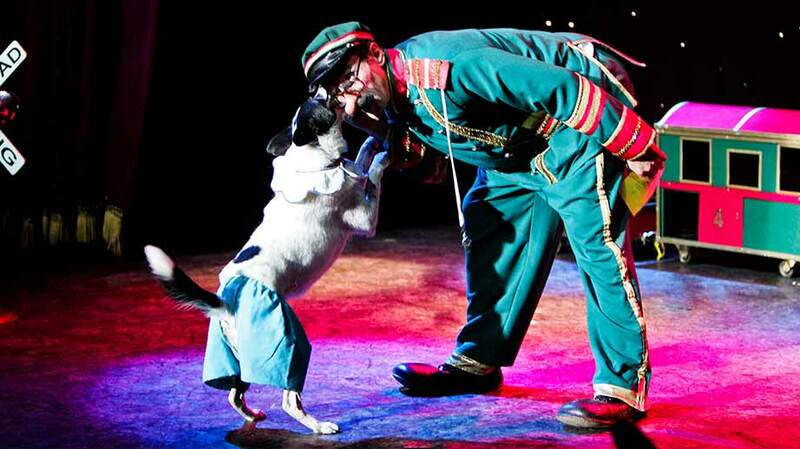 In one sketch, dogs, cats, and even mice hand tickets to a conductor before they board a train. In the centerpiece of the show, a classroom of dogs sits at desks while one “student” barks out answers to math problems, another erases a chalkboard with its paw, and a third points to specific spots on a globe as the “class” learns geography. 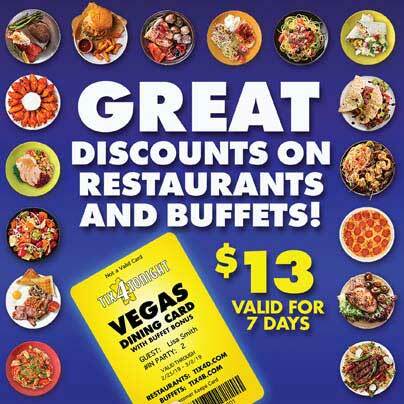 Performances take place in the V-Theater at Planet Hollywood in the afternoon, and the early showtime means you’ll still have the evening free after you take the kids to see a show your whole family can enjoy together. 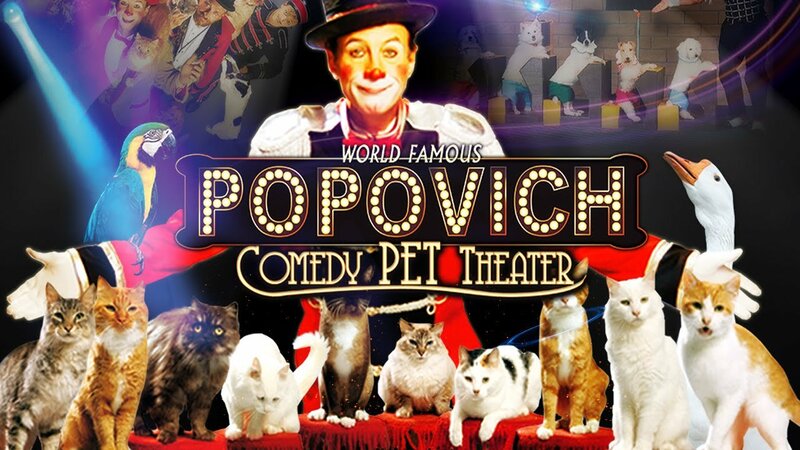 If you’re in Las Vegas with children, don’t miss out on the fun and amazing antics of Gregory Popovich and his furry friends at Popovich Comedy Pet Theater, which is far and away one of the best Las Vegas shows for kids… and adults as well.